The City of Kingsport is now in possession of the largest municipal alternative fuels fleet in the State of Tennessee. Some examples of the types of vehicles that the City of Kingsport has converted to propane autogas. 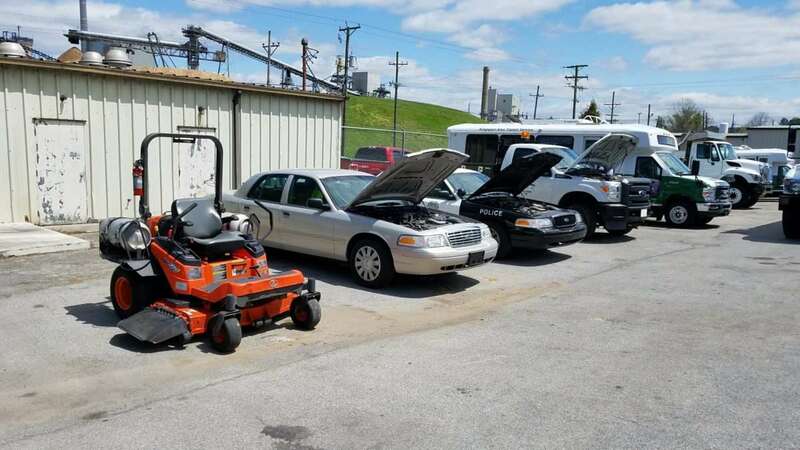 L-R: a propane mower, a city sedan, a police interceptor, and a maintenance pick-up. 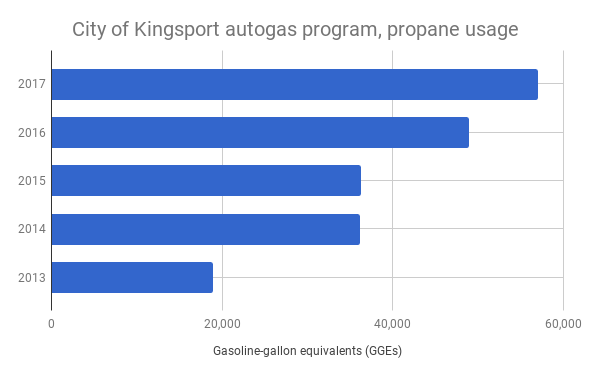 The City of Kingsport’s Propane Autogas Program is an ongoing project within the Kingsport fleet to convert vehicles in various departments within the City of Kingsport to propane autogas. The project began in earnest in 2008, and has progressed significantly in the past 5 years; the City of Kingsport is now in possession of the largest municipal alternative fuels fleet in the State of Tennessee. The leader of the Autogas Program is Steve Hightower, Fleet Manager for the City of Kingsport. Responding to a directive from city administrators to both make the fleet more environmentally sustainable (to “green the fleet”) and save money on fuel costs (the program began during a time when diesel and gasoline prices were at historic highs), Mr. Hightower investigated how various alternative fuels sources can burn more cleanly and save money for the organizations that use them. 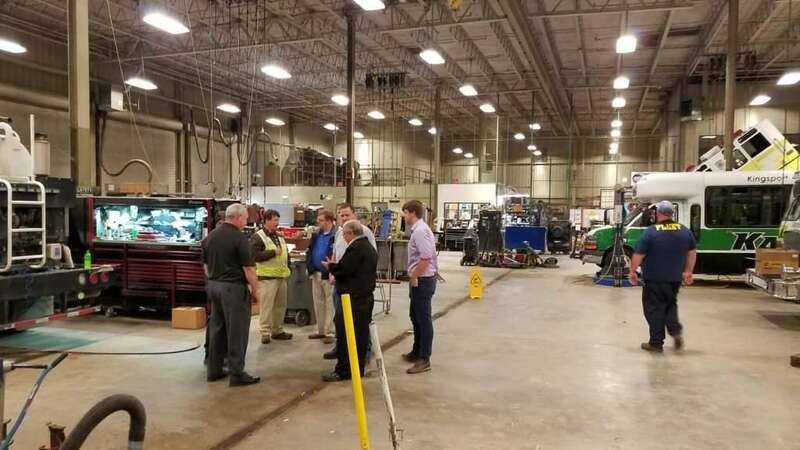 Steve Hightower and his staff with managers and employees of fleets across TN, giving them a tour of the facilities in Kingsport and explaining the details and benefits of propane autogas. After investigating EVs, natural gas, and several other possibilities for alternative fuels, Mr. Hightower and the fleet eventually selected propane autogas as their fuel of choice. This fuel hit the sweet spot for both goals of the fleet; they could install infrastructure cheaply, the fuel itself was significantly cheaper than gasoline or diesel, and it was a much cleaner-burning fuel than either conventional fuel. Mr. Hightower selected Alliance AutoGas as their primary source for propane autogas conversion kits, infrastructure, and fuel delivery. 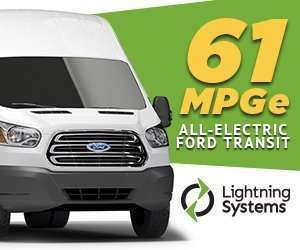 Alliance is a unique player in the US propane autogas market; they bill themselves as a “complete” solution because they can provide system installs, infrastructure, fuel delivery, and financing for fleets who want to switch to propane with low or no upfront cost. Since inception, the propane autogas fleet in Kingsport has rapidly expanded. The fleet now counts police cars, service trucks, city sedans, and mowers among its vehicles, and more conversions are on the way in 2018 and 2019. 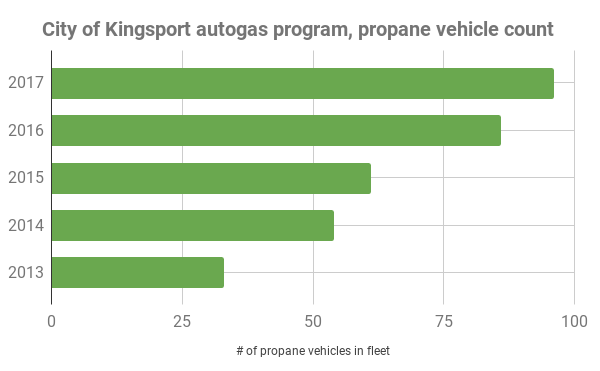 As of May 30, 2018, the City of Kingsport currently has 96 propane-powered vehicles operating within its fleet, including 2 new propane mowers that have been added since February 2018. Plans for continued expansion are well under-way. 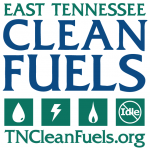 Thanks to a grant from TDEC’s Tennessee Natural Gas & Propane Vehicle Grant Program, the City of Kingsport will be able to add 21 new propane-powered vehicles to their fleet within the next 12 months, bringing their total number of autogas vehicles from 96 to 117, and further entrenching Kingsport as a statewide leader in alternative fuels adoption and sustainable transportation development. With the City of Kingsport fleet’s size comes considerable alternative fuel usage as well. In 2017, the City used just over 77,000 gallons of propane autogas in its vehicles. This accounts for ~15% of the City fleet’s total fuel usage in 2017. In the period from 2013-2017, the City used over 267,000 gallons of propane autogas in its vehicles. This is equivalent to over 197,000 gallons of gasoline displaced from 2013-2017.